Has anyone here got any experience with Waves Tune? I got an email that it’s on sale and I’m seriously pondering it. I’m not sure how long the sale will last. I’ve haven’t. Ever since I picked up Izotope Nectar I haven’t felt like I needed anything else. 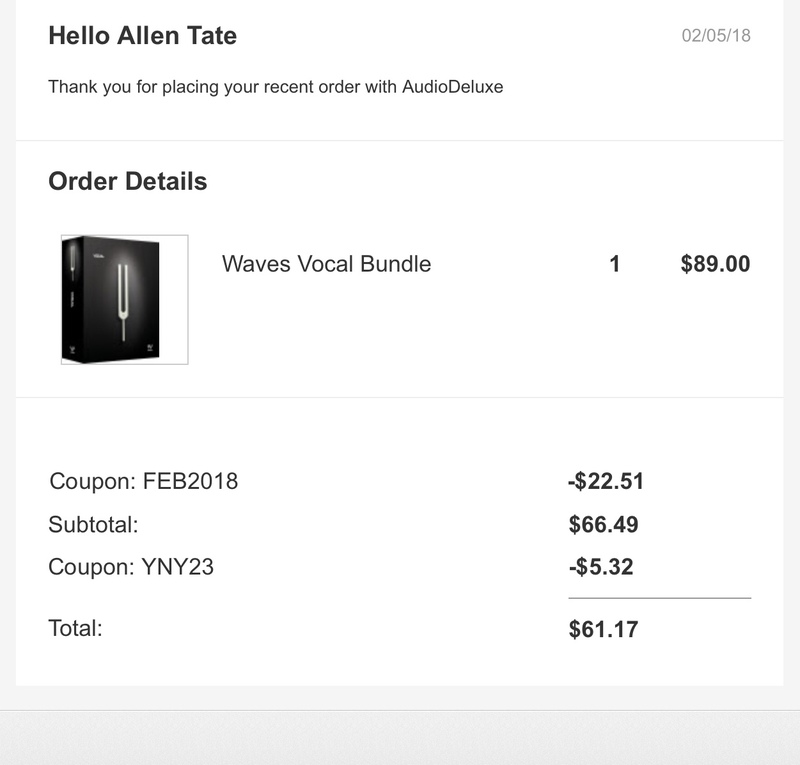 I just noticed that Waves Tune comes on the Waves Vocal bundle, which is $89. Can’t see anything past 10:00 on your song, and if says "outside session limits"
Pencil tool can manually re-draw waveforms. Melodyne can not. Works as an AudioSuite plugin in PT. Note: How ‘natural’ or ‘unnatural’ an autotune sounds is largely about how good you are at using it. These are not plug and play devices, and it takes some practice to get proficient with them. 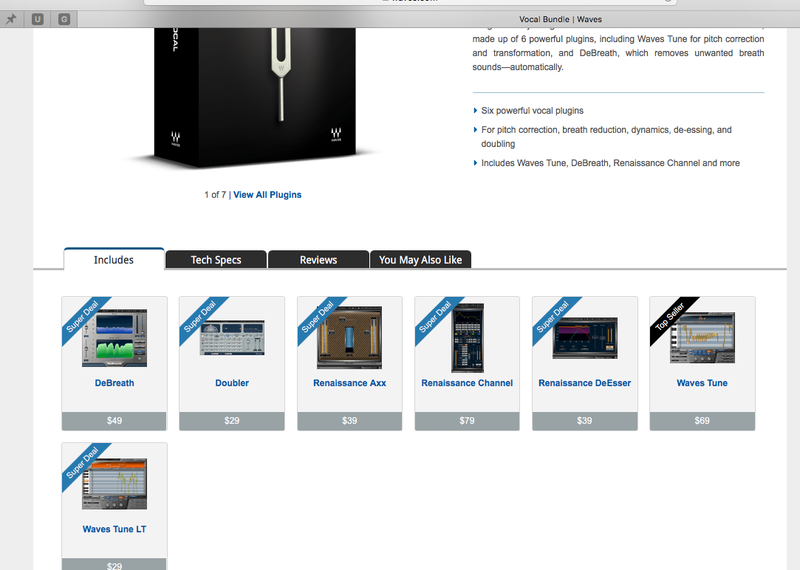 I’m a Cubase Elements 9 user. The stock tuner is only in the Pro edition. I’m not in a jam band so 10:00 minute songs currently are a non issue. For $89, it may not hurt me to buy the bundle. 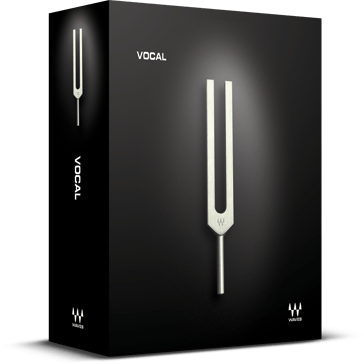 At the very least, I’ll get the experience I need to make tuned vocals sound more natural. I quite like Waves Tune. To me, it seems pretty easy to dial in in a way that it sounds pretty natural. I do think the interface is very clunky though, which is a little frustrating. Between waves tune and ReaTune, I don’t feel like I’m lacking anything in the autotune department. The Boz seal of approval is a vote of confidence for me! Hey @BigAlRocks, if you haven’t bought it already, check out everyplugin.com and/or audiodeluxe.com. In the cart, use code “YNY23” for an even bigger discount. That thing is really hard to control for a non-Pro Tools user that doesn’t have access to the audio suite. In instances where you want the autotuner to generate harmonies or to modify harmonies, I had to drop the real time tuner and switch to the Waves Tune right away. Winner, winner, chicken dinner! Thank you, @miked! I went through audio deluxe.com for anyone else interested. Note the double discount. Great! Also, Koby, the guy at everyplugin.com will work with you on Waves bundle upgrades and basically anything you can do on the Waves site. Just email him. Nice fellow! anything good in the Manny Marroquin, CLA, Maserati, Puig signature packs?? or better yet. Almost every mix i see has the c4, or c6 compressor, or the L1 limiter in various places. What are the cheapest ways to get these in bundles? Awww! Nice! That’s a great bundle! Everything in there is usable. That Axx is terrific on instruments and the compressor on the R-channel is one of the most commonly used plugs for voiceover and dialogue. But it’s stellar on a music vocal too. The R-desser is my very first go-to on music vocals. And don’t overlook that doubler. When you pull it up on a vocal, take a quick listen, then go strait to Dave Pensado’s presets in the menu. The thing can be set to mimic an Eventide H3000 for vocal and guitar chorusing too. Again, what you just got is an insanely useful package. The thing can be set to mimic an Eventide H3000 for vocal and guitar chorusing too. u r referring to the doubler here or the vocal tune? What are the cheapest ways to get these in bundles? The answer to this is always wait for a Waves special lol. These are really really niche. I leaned heavily on them during my first 3 years of mixing. I don’t use any of them anymore except for the Manny distortion and JJP drums (on tom-toms). I use the Manny Delay, but not often. Once in a full moon I use the BGV group settings on the Maserati. I think the CLA mix bus plugin is useful if you don’t have the Slate Redd 3 or any summing plugs. I used the Greg Wells Piano Centric once and a client hated it. I dunno man. I’d highly advise you to demo these. If you like em that’s great, but I think the trick to getting your money’s worth out of these is knowing how to disable the certain features in them and knowing when not to use them all together. I actually picked up the Manny Marroquin bundle from everyplugin.com just last month and am liking it pretty well so far. Yeah. I would take the Manny or the Scheps given the choice of all of them.